A brand new 9N was the first tractor purchased for the Neff farm in 1940. The Neff farm, circa 1780, is located in Moorefield, WV. 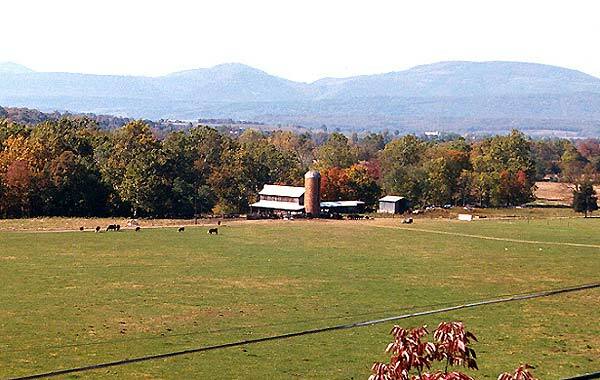 The farm consists of nearly 200 acres of "farm" land and roughly 190 acres of "wood" land. The "Neff Brothers", Weldon (my great uncle), and Wilmer (my grandfather), were beef farmers from 1937 until their retirement. Beef farming, mainly Herefords, was their main source of income. Corn, wheat, oats, and even green beans were crops they produced for an additional source of income. When the new 9N was first delivered to the farm, it went through a plowing test. A neighboring farmer was amazed at the amount of plowing that was accomplished in a day's time. There was no comparison to his horse-drawn plows. It wasn't long before he purchased a 9N for his very own. 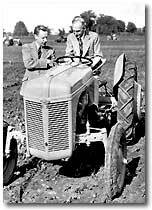 Development and marketing of the Ford-Ferguson 9N tractor began with a gentleman handshake agreement between Henry Ford and Harry Ferguson in October of 1938. 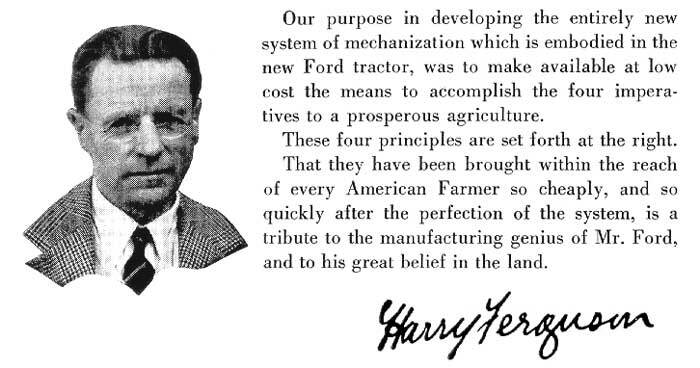 Ford manufactured the tractor using Ferguson's 3-point hitch system. 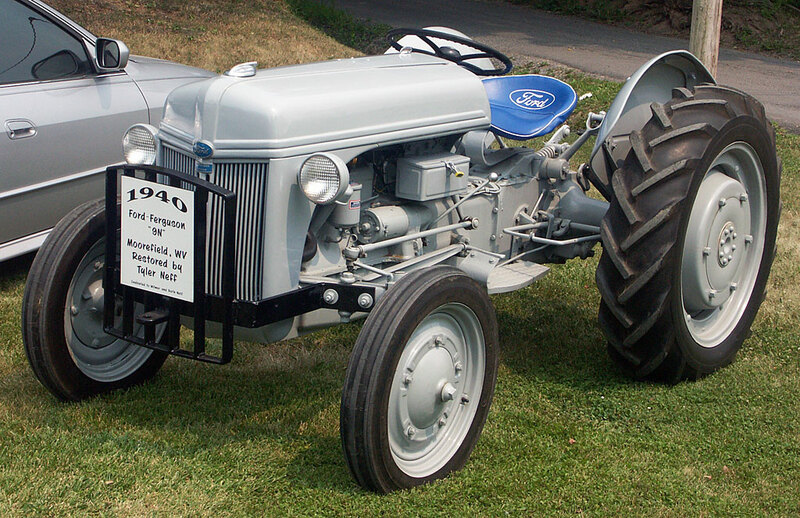 The 9N was known as a Ford tractor with the Ferguson system. Ferguson designed the first 3-point hitch system that is used on farm tractors today. His ingenious system combined with his inventive 3-point implements, was a replacement for the horse and the horse-drawn implements. The model 9N was first demonstrated in Dearborn, Michigan, on June 29, 1939. This agricultural concept revolutionized farming. Many of the 9N's basic design features are still evidenced in many of the tractors being sold today. The 9N was manufactured until 1942. Ford then manufactured the 2N, which was almost identical except for a few modifications due to the war. There were over 99,000 9N's produced from 1939 to 1942 and almost 200,000 2N's produced from 1942 to 1947. The 9N's selling price was $585 in 1939. This price included rubber tires, an electrical system with a starter, generator and battery, and a power takeoff. Headlights and a rear taillight were an option. Website introduced on Aug. 10, 1997. This site is also best viewed with a minimum resolution of 1024 x 768 pixels. Copyright © 2001 TNT Web Development. All rights reserved.